With the property market finally back on track, an Oxley-led consortium is enticing home purchasers with its most recent offering – Affinity at Serangoon. This new project is located along Serangoon North Avenue 1 in District 19. It is set in the midst of lavish finishing reminiscent of an extravagant resort and contains 1,012 residential units, 40 exclusive strata landed houses and five retail shops. This condominium project is made up of three islands in which residents are free to island hop to access its extensive facilities (88 of them in total). Are you a fitness enthusiast? The floating gym which overlooks over 90m of water features will definitely not let you down. Also, it has perfect venues and facilities like the sky barbecue and alfresco kitchen and dining space for you to hold parties and spend quality time with your dearest family and friends. Nature fanatics can immerse themselves in the greenery as they stroll along the forest boardwalk and appreciate the serenity in the backwoods cabanas. Despite being a relatively large-scale project, our homegrown developer is positive on embarking it. 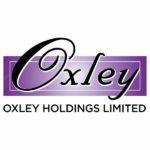 The Oxley-led consortium has formed a strategic partnership with powerful joint ventures that have desirable past achievements in construction. This gave them stronger conviction to undertake this project, understanding that there will be improved quality control and prompt delivery of work. In addition, the location of this project is really good. Its average land cost is about $835 psf per plot ratio, which is relatively cheaper than the others. Since the development offers a broad range of unit types, from one-bedroom units all the way to as huge as five-bedroom strata landed homes, it has wooed a good mix of buyers. You can see individuals, newly-wed couples, small families, big multi-generational families and even investors. Affinity is close to almost anything that you will need. 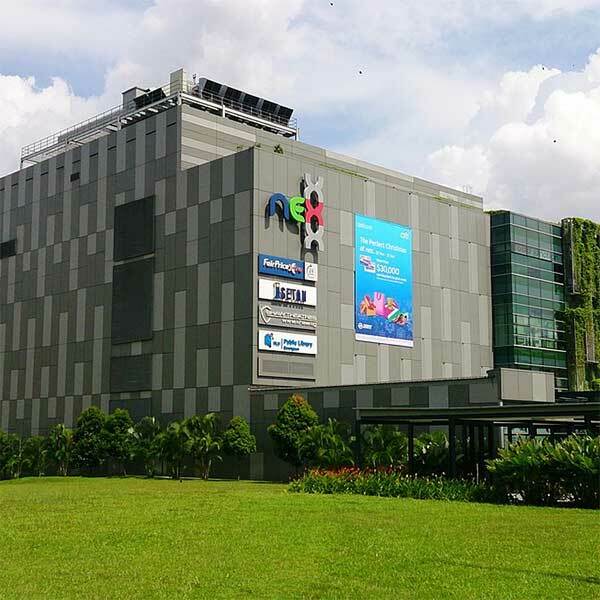 For instance, you have a gigantic shopping mall like Nex shopping mall, a food heaven like the Chomp Chomp Food Centre, and many other amenities like the Serangoon Gardens Market and Serangoon Community Park. Parents do not have to worry about lack of good schools around the area. Right within the vicinity you can find plenty of them which includes Rosyth Primary School, Zhonghua Primary School, Nanyang Junior College, the French School and Australian International School. Car drivers are going to love this location even more as Affinity is so accessible to other parts of the island! You are connected via major expressways like the Central Expressway, Seletar Expressway, Tampines Expressway and Kallang-Paya Lebar Expressway. This development, being named Affinity, is designed with the community in mind. It is aimed to make residents feel a sense of belonging towards the place they live in and closeness with the people living around them. The community places a very important factor when making a home purchase decision. You want to live in a place where you feel belonged, safe and warm. Home is where you retreat to after a tiring day at work and you want to come back to somewhere you feel deeply bonded to. According to the URA (Urban Redevelopment Authority) of Singapore, sales of private home units (including Executive Condominiums (ECs), Private Condominiums, Private Landed Property) saw a rise of approximately 68.1 percent in April – from 788 units to 1,325 units. The increase was mainly due to a new launch EC – Rivercove Residences, whose showroom recently opened doors in Sengkang. Excluding ECs, developers sold 729 units last month, up slightly from 716 units in March. 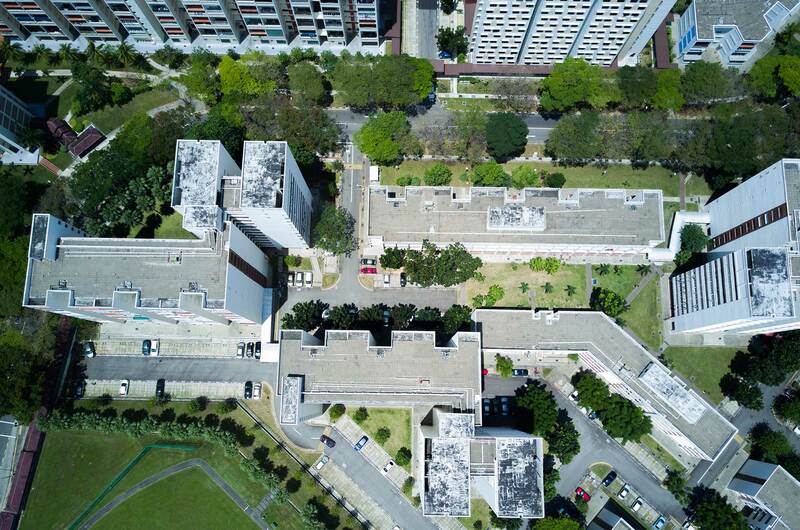 “The robust demand for ECs, a hybrid between public and private housing, was driven by the limited supply and relatively affordable price points for the “sandwiched” class,” said Tricia Song, head of research for Singapore at Colliers International. ECs have always been a hit in Singapore, especially when there will only be an official launch of one this year (as well as 2019). Hence the rising demand means buyers will rush to bid & ballot for these rare pieces of estates. Investors think that ECs have a high ROI and many are buying to resell in 5 years when the Condo becomes privatised. However, it is important to find out the landscape of these ECs, their suitability for living, and their location before deciding their worth. 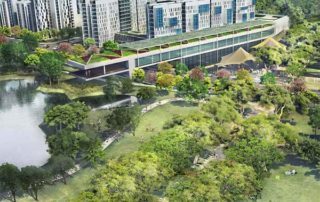 In fact, one new Condominium Launch is slated to be Affinity at Serangoon, a potentially condo that could be a good investment for both capital gains & renting, as well as for the family living. Serangoon has always been one of the hottest estates that residents love – it’s a mature estate that is well-connected by train lines, extensive road networks, and a suburb to the CBD area. No wonder hype and excitement is building up for this launch. Especially with the developer surge of 68% in April, we foresee a good demand for Affinity at Serangoon as well. 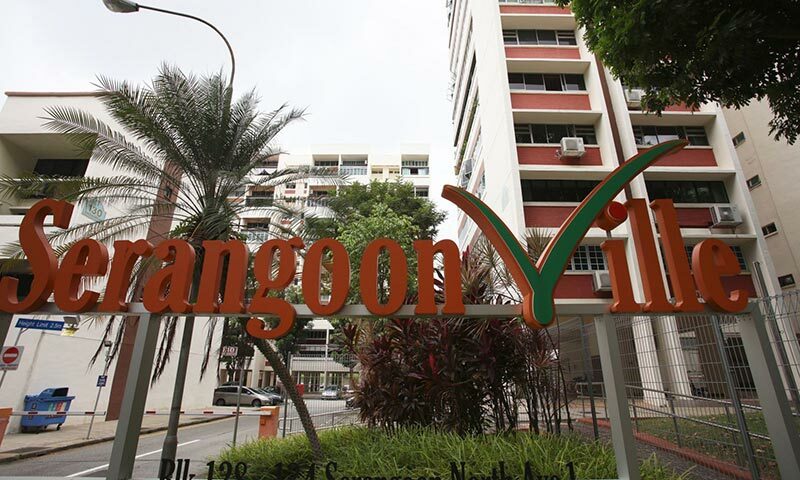 Affinity at Serangoon is an enbloc project from the old Serangoon Ville – a high bid was raised for this enbloc and there were many competitive bidders. According to PropertyGuru’s Property Market Outlook report, prices of new launches are expected to be at least 5.0 percent higher than last year. Thus, we can observe that new Condos like Margaret Ville, The Garden Residences, and Affinity at Serangoon would do relatively well in the market – and buyers will participate in a buy wave before prices eventually shoot above the 5% analysis price hike. According to PropertyGuru, other top selling projects include Park Place Residences (Phase 2) at Paya Lebar Quarter, which sold at a median price of S$2,060psf across 166 units, and Verandah Residences at Pasir Panjang Road (141 units at $1,846 psf). Harbour View Gardens along Pasir Panjang Road is almost sold out at a median price of S$1,763psf. We can only wait for the release of the floor plans to find out more about Affinity at Serangoon. To register for any updates or early bird preview, we highly recommend doing so at https://affinityatserangoonville.sg. 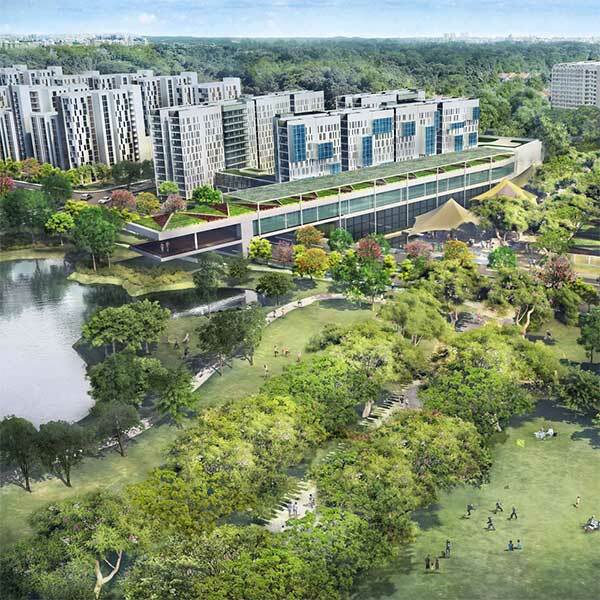 Affinity at Serangoon, an upcoming residential area at Serangoon North, located in the northeastern part of Singapore was successfully acquired by Oxley Holdings for S$499 million. 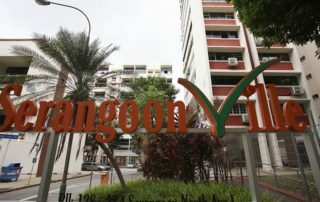 (See: Former HUDC estate Serangoon Ville sold en bloc for $499 million) The old Serangoon Ville enbloc is a 244 unit development features three blocks of 13-storey and four blocks of four-storey walk-up apartments. The Oxley-led CONSORTIUM includes Oxley that takes up a 40 percent stake in the consortium; the balance is equally split among Lian Beng Group, Unique Invesco Pte Ltd and Apricot Capital. Unique Invesco is a 37.5 percent indirect associate of KSH Holdings; Apricot is the private investment firm of Super Group’s Teo family. The consortium also has to pay $195 million in estimated charges to top up the lease to 99 years and intensify the land use. 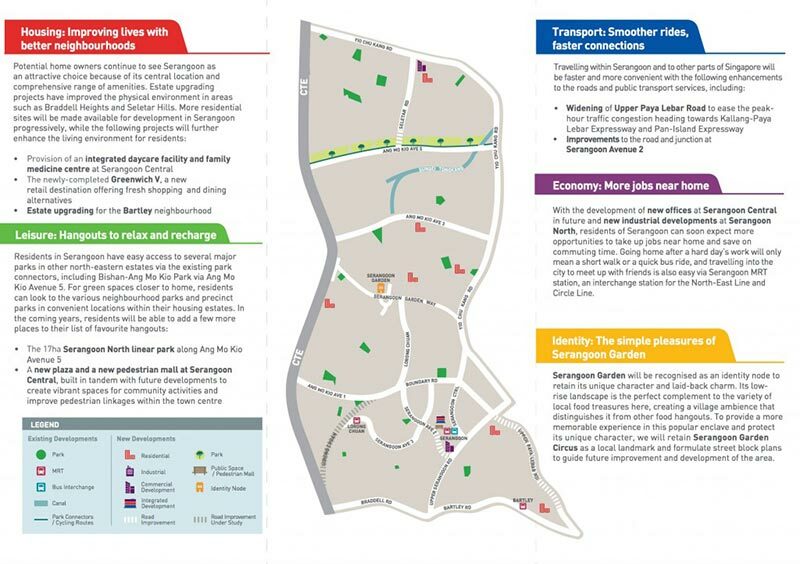 Information on Enbloc of Serangoon Ville that will transform into Affinity at Serangoon. In July 25th, 2017, the tender was closed and a total of 5 competitive bids were received with prices well above the owners’ asking price. 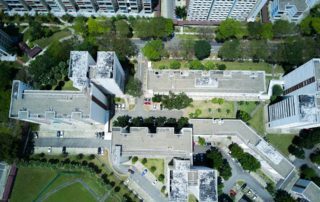 More than 80 percent of the owners agreed for an en bloc sale, which resulted in the property to put up for sale. After the sale is completed successfully, and conditions met, each owner will receive about S$2 million for their property. As usual, before the project launch announcement, it has to undergo some pending government paperwork and clearance from the authorities for a full go-ahead. As of now, Oxley Holdings has officially announced the name to be Affinity @ Serangoon. This new Condo launch in Singapore is expected to build great hype and excitement since it is located in a premium matured estate. Since the CONSORTIUM leading this project is a major player in the industry, there is hardly an occasion when an obstacle has stopped or delayed a project as massive as this. Affinity @ Serangoon will be built with the family in mind and will consist of approximately 1052 units, with strata landed and 5 commercial shops. Featuring units with a variety of 1br to family-sized units, most of the units will be north-south facing and enjoy convenience and amenities in Serangoon North mature estate. According to sources, this new development of the Affinity @ Serangoon condo is calculated to feature a land rate of $835 per sq ft per plot ratio. Oxley has been famous for developing luxurious condos and units for residential purposes and it is highly likely that this project will also be fully developed for a luxurious unit, resembling most of Oxley’s significant projects. Short History of Serangoon North Estate where Affinity at Serangoon is located. Serangoon Gardens was formerly a residential estate for the British (and some Australian and New Zealand) soldiers and airmen, where some of them were based in the nearby RAF (Royal Air Force) Chia Keng Camp, until the early seventies. The name Serangoon is likely to be derived from burong ranggoon, referring to a species of black and white stork that lives around Sungei Serangoon (formerly called Rangoon River). Satu, or one in Malay, was added to the name, thus becoming Saranggoon. This name was used for a long period of time before it eventually evolved to Serangoon. During the Japanese Occupation, large plots of flower farms were cultivated in this region, leading to the naming of the estate as Serangoon Gardens. The site is within URA’s Serangoon Planning area. Comparative developments in the area include Kensington Park, Affinity @ Serangoon by Oxley Holdings. Slightly further to the East will be Terrasse. There has been a drought for new condominium launches in the estate and so Affinity @ Serangoon will together with Keppel and Wingtai The Garden Residences will rejuvenate and revitalise the entire area and neighbourhood, the value of the estate will be raised and tremendous amounts of activities and vitality will be injected into the estate. Let’s look at the compelling reasons to select Affinity @ Serangoon as your investment property and choice. Our developer team has a breakdown and you may refer to Affinity @ Serangoon Prices here. Near to Amenities such as NEX and Food Haunts such as Chomp Chomp Food Centre. Hype and Launch of Affinity at Serangoon: What’s Next? Since the official launch of Development name, Affinity @ Serangoon was just announced on 15th May 2018, we expect a hype build up as we continue to provide the latest news and updates. More importantly, the E-brochures, floor plans, and site plan will be crucial to determining the value of this Condominium at Serangoon North. It is important to note that former HUDC estates, which tend to be huge under-built swathes of land, have featured strongly in this year’s list of awarded collective sales, with successful developers hoping to intensify the number of units by three to five times the existing capacity. This includes estates like Affinity @ Serangoon, and Riverfront Residence (formerly Rio Casa Enbloc). If you would like to follow up on the updates of Affinity @ Serangoon, we highly recommend that you refer to the official site source here: https://affinityatserangoonville.sg. Early preview usually means you get access to early information that can help with decision making on the purchase of Condominiums in Singapore. Subsequently, you should base your decision on the floor plan layout and sizes – PSFs are important but the layout is equally important, so be sure to make informed decisions and do your due diligence before any purchase!